There’s nothing more reliable than a Bowie knife at your side. 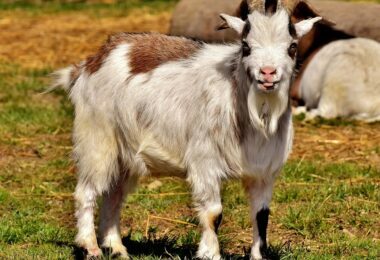 It can make for a great defensive weapon against predators, can skin and gut any of your catches, and can even be used to whittle away wood to make spears or traps. It’s quite a versatile tool to have with you on your camping trip, and having the right one at your side can make all the difference in the world. Having the best bowie knife will ensure that it won’t break after your first use and that it will last for a long time to come. 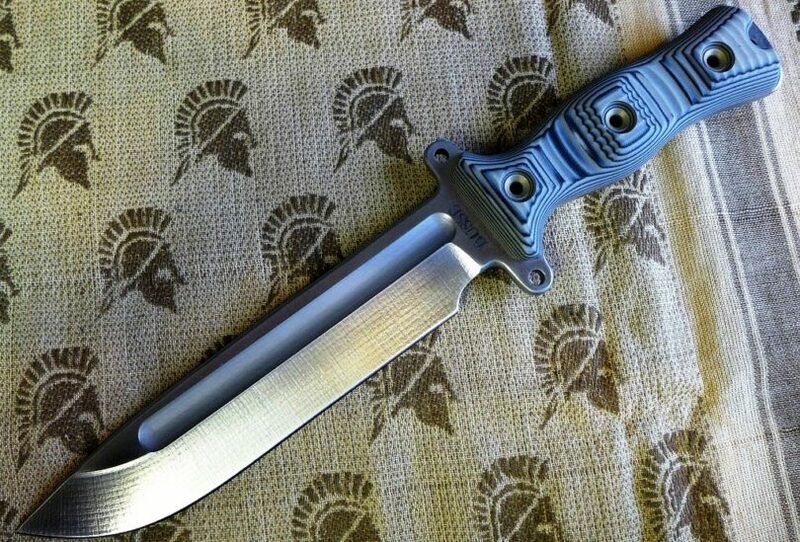 There are various things that you should look for when buying your first bowie knife. It’s more than just having the sharpest blade on the block. Bowie knives come in a variety of materials, size, length and tang, as well as a few other features that are essential to take into account. The majority of bowie knives are made from strong metals, mostly carbon steel. This is because it creates a very sharp edge, allowing it to remain strong throughout being used. Other materials have been used in the past, but carbon steel seems to be the most popular. 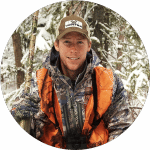 A steel allow of any kind will really suffice for hunting. If the knife is only for display, then it doesn’t matter what kind of material is used. Bowie knives have generally known as being quite large blades. The size of the blade is dependent upon its intended use. Larger blades are more powerful, while smaller blades have more precision. A large bowie knife can be used to clear weeds or brush, and chop small pieces of wood, but it will also require a case. Smaller blades are used more often by fishermen and hunters when skinning and cleaning meat. You should base your decision of knife on purpose instead of going for the biggest one you can find. See our list of the top EDC knife to give you more practical options. This is the connecting shank that connects the blade to the handle. The blade itself is quite heavy and it requires a full tang to keep the blade from breaking. 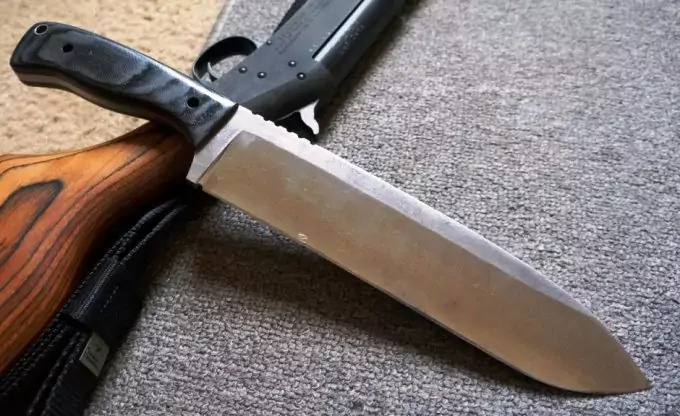 Anything less than this and it’s more likely that the bowie is for display rather than function, and you don’t want to use such knives out in the field, or you could end up injuring yourself. Though many people think that this is strictly for aesthetic reasons, the material of the handle does serve an important function. Natural bone, stacked wood, and antler, for example, feel great in the hand under cold climates, allowing you to maintain a better grip on your blade. However, if your knife is going to get wet from blood or weather conditions, synthetic blend handles such as micarta, rubber and kraton, would serve you better, as they’re much more durable and strong. But nothing’s better than taking a grip of the handle and feeling for yourself how it sits in your hands. This can also tell you if the weight of the blade feels balanced in your hand and if it feels comfortable to hold. 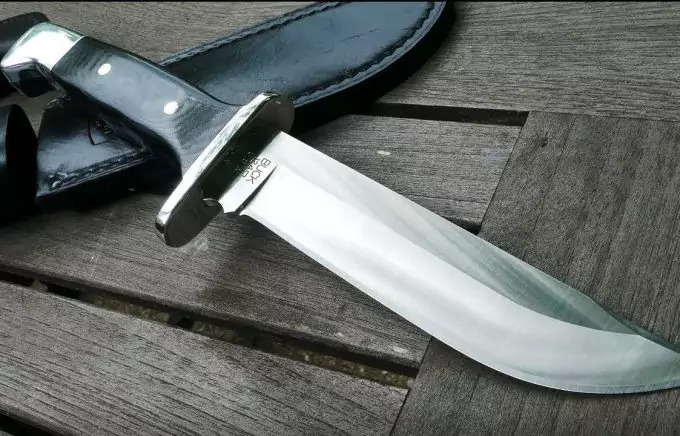 If you’ve invested in one of the larger Bowie knives, then a sheath made of leather or synthetic material will keep your blade protected from the elements, as well as keeping it sharp for much longer. Like all tools that you use in the field, you need to take care of them to ensure that they continue working for you in the future, and your Bowie knife is no different. Because of how long they’ve been around, they’ve developed a reputation for quality and durability, but that only goes so far if you don’t remember to clean and sharpen your blade on a regular basis. For more information and tips on how to sharpen a knife, do read our article on this important topic. First off, it’s important that you’re using your knife correctly; it’s not a hammer or a screwdriver, and using it for purposes it wasn’t designed for is one of the best ways to start dulling and possibly even break it. Storing your knife is also essential in order to keep away rust. 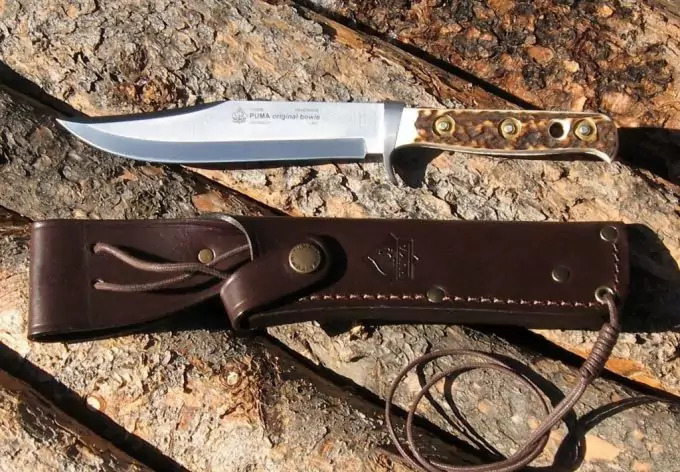 Many people choose a leather sheath, but leather is known to absorb humidity from the atmosphere, and that moisture getting to your blade will start to lead to rust very quickly. A hard scabbard, such as metal makes a much better option. Along with a sheath, storing your knife in the proper location can make all the difference in the world; the drier the surrounding atmosphere, the better. Your knife should also be oiled when it’s in storage in order to protect against moisture. Sharpening your knife is also required, and how often you do it is dependent on how often you use your knife and the kind of jobs you’ve put it through. 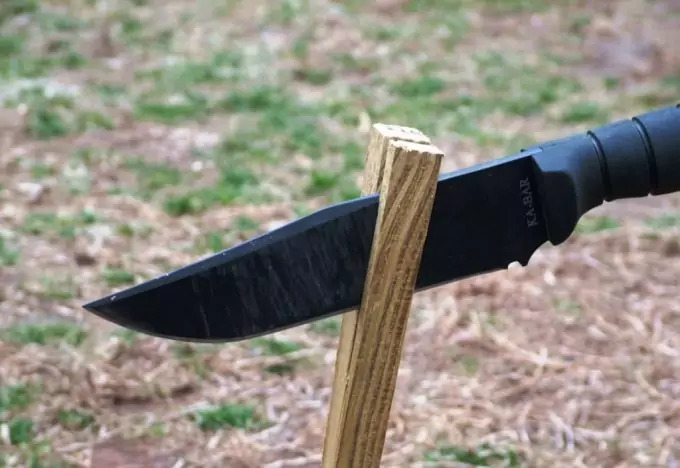 If you’re new to the knife sharpening process, it’s better if you start learning on smaller, cheap blades before you start sharpening your Bowie knife, as you could end up ruining it. If push comes to shove, you can always take your knife to a professional to have them sharpen it for you. Now that you know what you should be looking for, there are some bowie knives on the market that are at the top of their class. These have been highly recommended by hunters and campers alike when it comes to getting the job done. 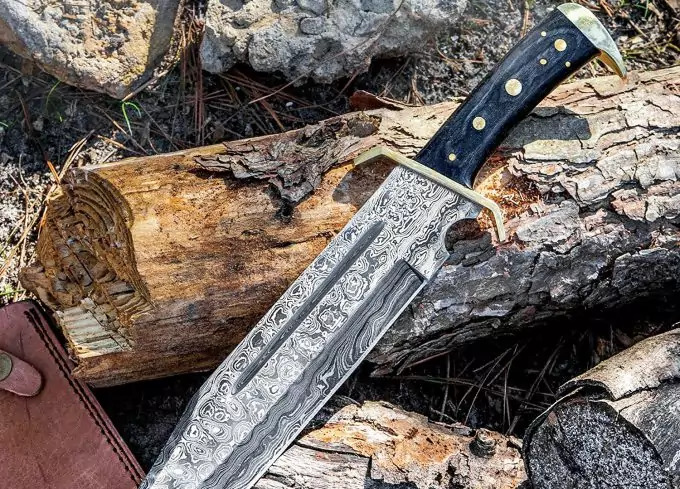 Here are just a few of the best bowie knives you can find on the market. PUMA is a German manufacturer of bowie knives, and has been known for their exception quality of steel. The knives are custom forged in their factories and each blade is tested for its hardness, ensuring that they’ll withstand whatever life throws at them. Only those that pass the test are then sold to customers. 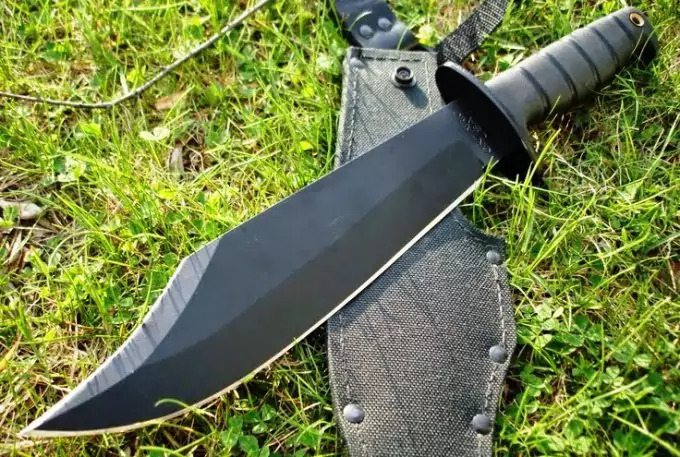 PUMA has been one of the top choices in bowie knives due to their quality, and though this blade will complete any task, the steel has been downgraded in this version of the bowie knife, making it a little less special from the other bowie knives that are in the market. The blade itself is 6 inches and has a full tang, but the rivets are now made of brass. There are only two rivets instead of the usual three. It’s still made with a Stag horn, and the sheath, which was once leather, has been replaced with nylon. Because of these changes, the blade has become more affordable for those who are interested in investing in such knives. 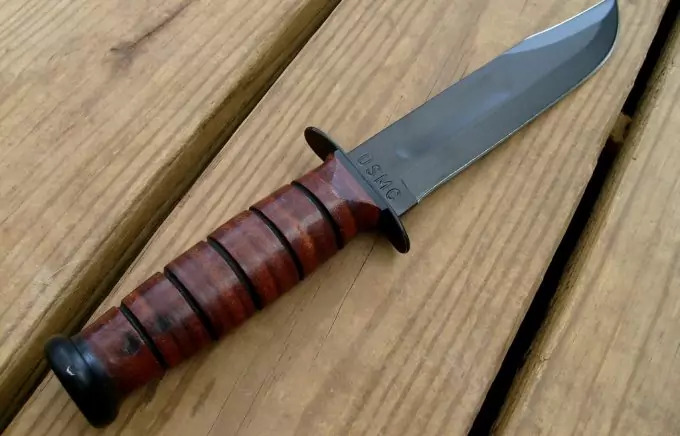 Ka-Bar is a company that has developed a reputation through their USMC fighting knives. Their knives are quite versatile and can withstand the typical rough treatment of being used outdoors. 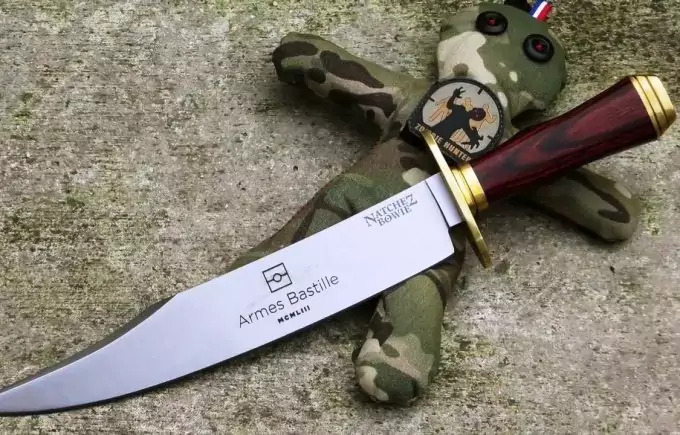 The knife is 9 inches long and weighs at least one pound, so it may not be the best first choice for a knife if you don’t have a lot of arm strength to wield it. The blade itself is made from 1095 Cro-Van steel, which is a common type of carbon steel used in the making of knives. This is because it is very easy to sharpen and holds an edge quite well. The added chromium and vanadium eliminate the chances of rust forming on the blade, allowing you to use it more often before it requires cleaning. It has a full tang, 2 Grivory (layers of nylon glued together) handles, and a nylon sheath to keep out moisture. At the cost of $96, it’s one of the cheaper bowie knives of exceptional quality that you can find. 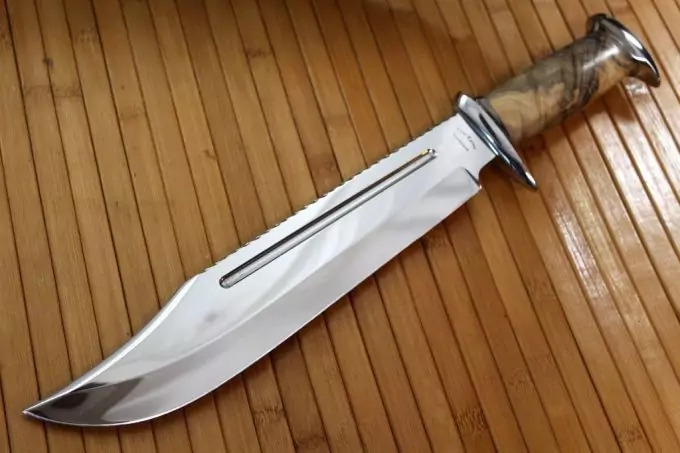 This sturdy blade is at least 11 3/4 inches long, so it’s definitely a large knife you should wean yourself into if it’s your first bowie knife. It’s considered one of the most efficient hunting knives, as it’s made from SK-5 carbon steel. This helps it maintain its sharpness over time, meaning that you can spend less time sharpening it. For its size, it’s actually quite light, allowing you to put more of your strength into swinging the blade than actually carrying it around. However, it does have a partial cable tang, so it might not be best to put it to the tougher jobs out there. It’s definitely worth the $150 price tag, especially for a knife this big. If you want a portable and lightweight hunting knife, then this is definitely the one for you. The blade is only 6 1/4 inches long, straight, and made of 420HC steel. The stain finish gives it a great look than anyone can admire, and the handle itself measures 5 1/2 inches. This length allows for more power to be delivered to the tip of the blade, giving you more cutting power without all of the extra effort. The added guard makes it impossible for you to injure yourself in the process. Finding a sheath to fit this blade can be a bit tricky, but it does come with its own made from genuine black leather. It can be a bit tight at first, but after some time, it will loosen on its own. Just exercise care in the insertion and removal of the knife so that you don’t damage the sheath. At $105, this is definitely one of the better looking knives. This is one of the more solid bowie knives that you can lay your hands on. 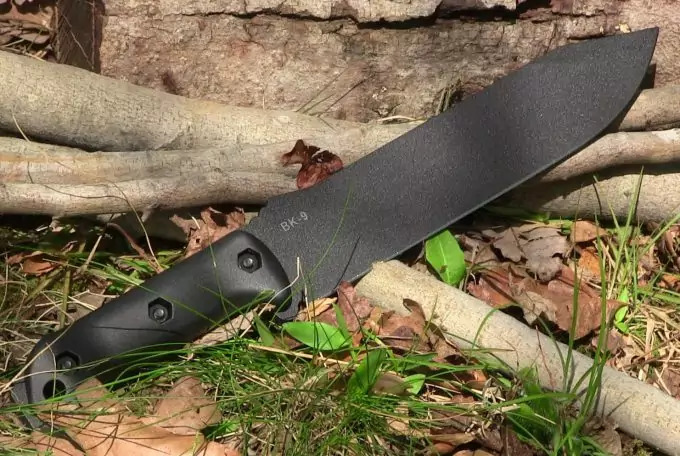 The straight and fixed blade can withstand anything that you put it through, whether you’re crafting in your backyard or camping out in the forest. Measuring at 7 1/2 inches, the blade is made from AUS-8 steel with a black TiNi finish that gives it a great sleek look. The leather washers make it easy to hold and reduce the slip. It comes with a black leather sheathe as well as a belt loop attachment so you can always have your knife at the ready. It’s quite lightweight, weighing at only 17.4 ounces, so even the smallest of hands can wield it perfectly. For $164, this is quite a versatile knife that you’ll be glad you brought with you. This is one of the cheaper knives at only $25, which is a steal given its size. 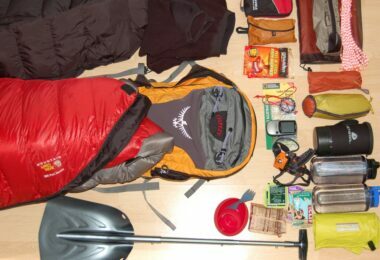 It covers all of your outdoor activity needs, making it quite a versatile knife to have with you on your camping trip. At 11 3/8 inches, it’s razor sharp and made of stainless steel that just won’t quit. The handle can be a little small in relation to the size of the blade, but that draws more strength to the cutting power. The hardwood handle has been treated to prevent the swelling and shrinking that can occur to wood when it’s exposed to the elements. The included brass-plated guard also prevents injuries, so you can feel safe whenever you use it. It has a full tang, comes with a leather sheathe, and is considered the best and cheapest bowie knife on the market. However, due to its size, it’s not well-suited for small hands. This is another cheap bowie knife that’s available for $51, and it’s the appearance that will draw your attention. It’s rugged and harsh, while still delivering all of the power and cutting edge that you need to take care of those more stubborn tasks. It’s made of 1095 carbon steel and measures about 9 3/4 inches. The knife comes with a full tang so that it won’t break easily under use. 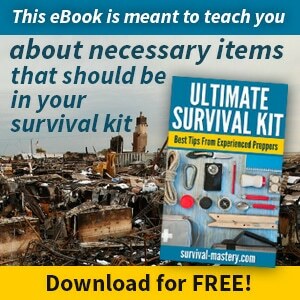 It can be used for hunting, as well as cutting thin branches, building shelters, and any other needs while you’re camping. It comes with an anti-corrosion coating so it will last much longer, no matter the elements. This knife was made with military purposes in mind, so it was definitely designed to last. The heft of the blade definitely makes it easier for you to put power behind your swings, but it’s not for those who aren’t used to hefting such large blades. If you’re looking for really cheap, this this bowie knife can be yours for only $20. The manufacturer leaves no room for mistakes when it comes to using this knife outdoors. It’s rated as a hunting knife, but can be used in other activities as well, from cutting branches to building shelters. It’s also quite useful in other survival and military applications, but it does have its limitations. The large blade, measuring at 15 inches, is made from stainless steel and does require sharpening on a regular basis. Be aware that it doesn’t have a full tang, so you may need to keep this knife restricted to the less rigorous tasks. If you’re looking for a quality knife with a hefty price tag, then the Muela Magnum could be just the blade you’re looking for. At $340, it has a Crown Stag handle that looks a little unusual at first glance, but is definitely full of surprises. The knife is made in Spain and is constructed out of 440 chrome-vanadium-molybdenum steel, providing it with exceptional hardness. The solid brass guard provides some blunt functionality, but should be used sparingly. This bowie knife is quite powerful and reliable, and is the right size for the average hand. The length of the blade transfers all of the power to the tip so that it feels like the knife is doing all of the work for you. 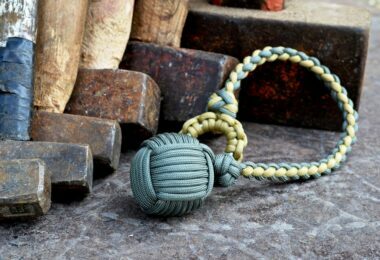 The leather sheathe that it comes with can feel a bit heavy, so those who are new to this kind of knife may find it a bit uncomfortable to carry around. 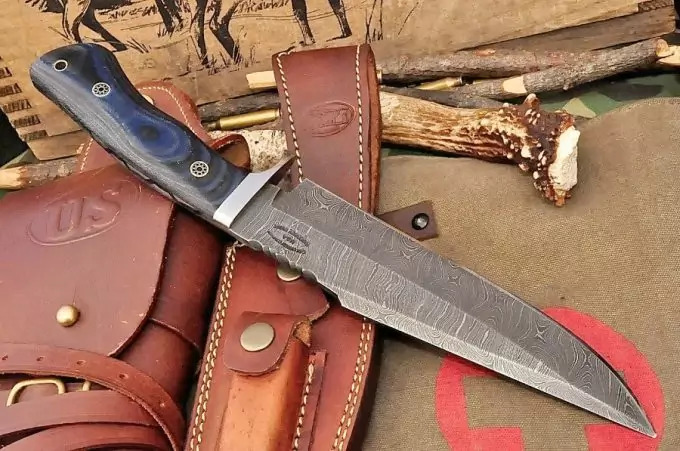 This large bowie knife is more than just your regular kitchen knife, and can withstand whatever you can put it through at your campgrounds. It’s used in branches of the military, so you know it’s designed to last. The blade measures about 9 inches while the handle is 5 1/4 inches, with all the power being sent to the blade. This puts all of the cutting power at the tip so you can slice through almost anything in your path. The blade is made of 1085 carbon steel, and the blade’s edge has a 20-degree angle, making it very sharp. It’s definitely a steal at $65. With all the different kinds of bowie knives that Ka-Bar makes, it can be difficult to choose just one. Their variety allows first-time or expert campers to be prepared for anything and this fighting knife is no different. At $67, the 1095 Cro-Van steel is strong and can withstand the elements. The 7-inch blade does have a handle that is much shorter than you’d expect, but that adds to the efficiency of its cutting power. The handle comes with leather to reduce slipping and provide durability for the grip, and the professional sheathe will keep your blade safe from moisture. Although it can be tempting to shop around online to find the best knife, it pays to look at them in person at your local outdoor sporting goods store. This way, you get to hold the knife yourself and get a feel for what is comfortable in your hands. Nothing would be more dissuading than spending big money on a bowie knife and realizing you can’t wield it properly. And continue to remember that these knives are designed to be large and sharp, so care should always be exercised when you’re using them so that you can stay safe. Check out our piece on reviews of the best fighting knife for more information.